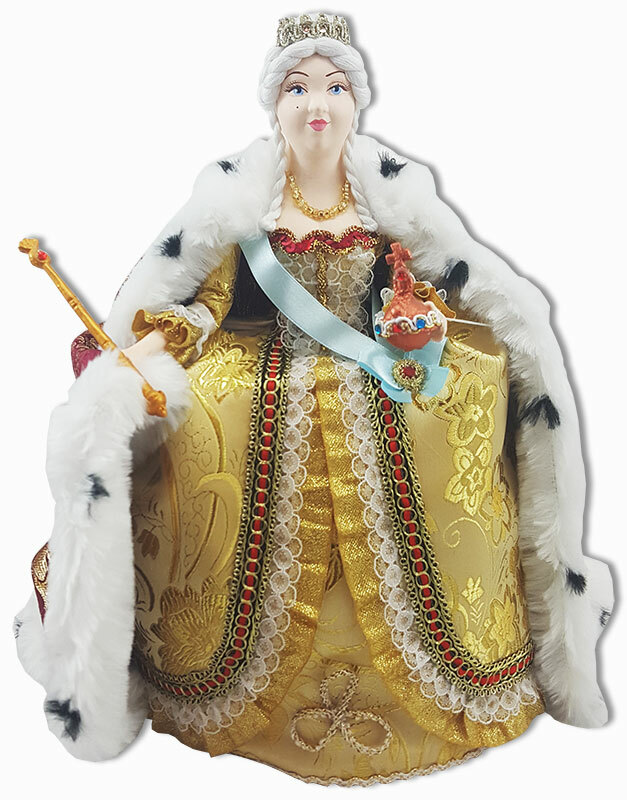 The image of the great Russian Empress Catherine II Alexeyevna was recreated by puppet masters fishing the doll from the surviving paintings. 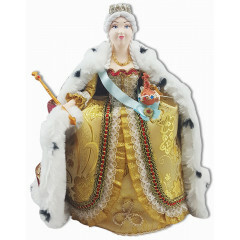 This doll will take a worthy place in Your interior and decorate collections, such as the national Russian dolls, secular dolls, historical dolls, funny dolls. Possible minor changes in color outfit doll depending on the received shipment of the materials. Used for the production of : textiles, lace, braid, cardboard, porcelain, furniture.